Boholano Ubi Polvoron. 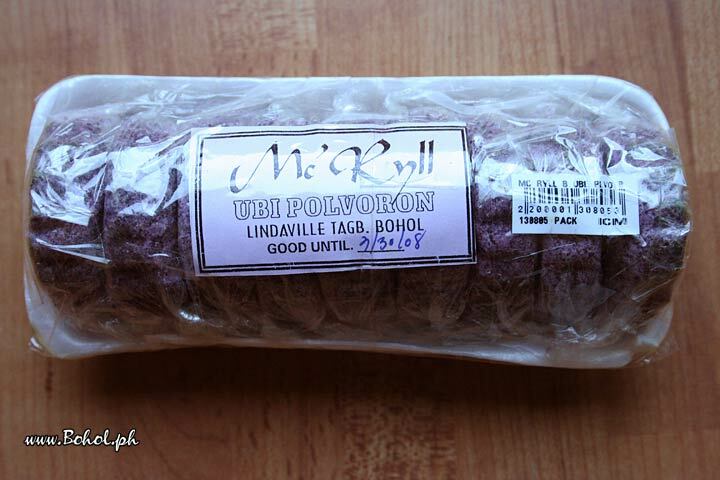 Ubi is a purple variety of yam, for which Bohol is famous. Polvoron is a delicacy that has its roots in Andalucia, Spain, but has become part of the Spanish legacy in the Philippines. According to Spanish tradition, you'll have to say "Pamplona" as quickly as possible after eating polvoron.